Happy Saturday, everyone! 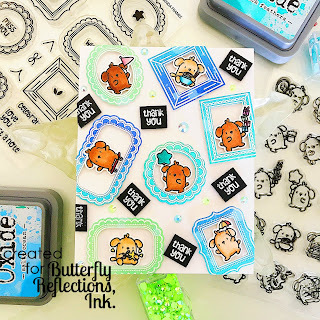 Lindsay here on the Butterfly Reflections Ink blog with a card using some of the "new to the shop" Mama Elephant goodies. 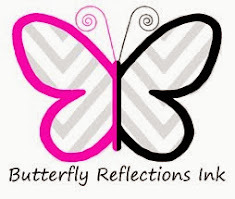 It's been exciting news around here that Butterfly Reflections Ink now carries Mama Elephant products! When I saw the Little Agenda Frames Stamp Set and Little Agenda Frames Dies I knew I had to have them! This stamp and die set includes frames of all shapes and sizes as well as coordinating dies to cut out either the frame outline on its own or the center portion as well. I chose to cut out the outline as well as the middle of the frames in order to fit in my Little Dog Agenda images inside the frame itself. This picture was a little sneak peek from my Instagram Story last week. I Copic Colored all the dogs from the stamp set as I wasn't sure exactly which images I wanted for my card. I then got to ink blending on some Bristol Smooth Paper using Blueprint Sketch, Cracked Pistachio, and Salty Ocean Distress Oxide Inks. Of course I added some water splatters for some interest. 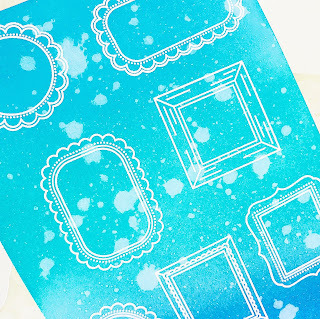 Using Versamark ink, I stamped all the frames onto the ink blended background and added white embossing powder and heat set that with my heat tool. I then cut them all out using the coordinating dies to cut out the outline as well as the middle to allow for space for my cute puppies to fit into the frames. I then worked on arranging all of my frames and the dog images into a pleasing layout onto the card front. This actually took a while and I realized that having some of the frames hang off the edge of the card really added to the interest to the card. 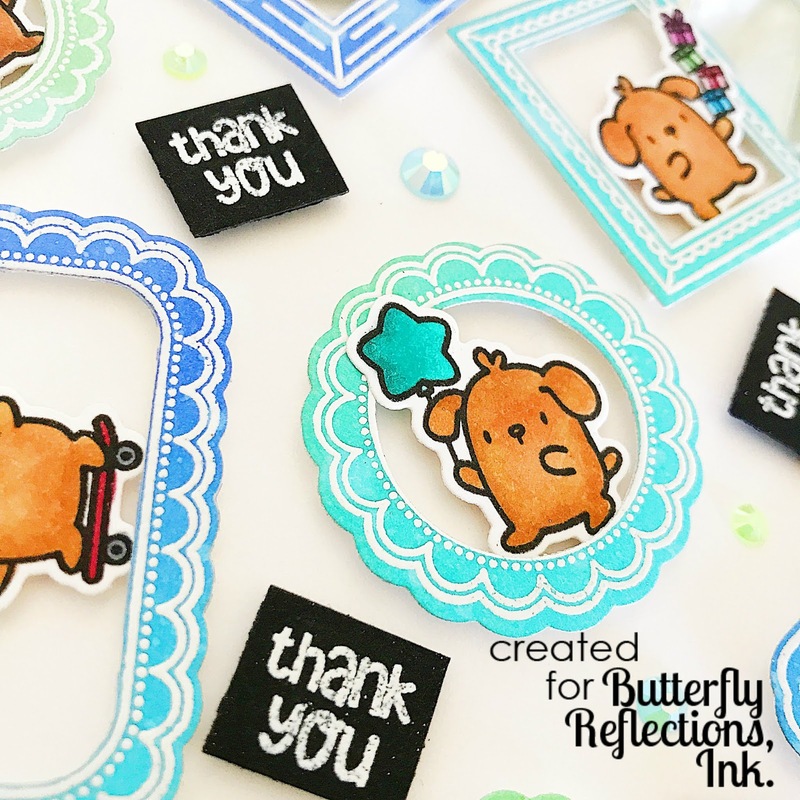 I then white heat embossed the "Thank You" sentiment from the Little Agenda Frame Stamp Set onto black card stock multiples times and cut those out as small as possible in order to fit them in between all the frames. As a finishing touch I added Aquamarine Jewels and Spring Green Jewels from Pretty Pink Posh. 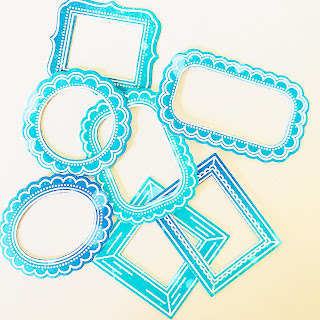 Thanks for stopping by the blog today, hope you have a great weekend!